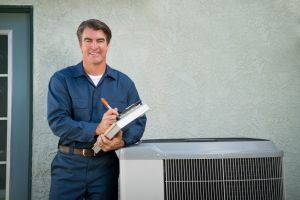 Anytime you are forced to start looking for a professional to help you with your Conyers air conditioning or heating service needs, it can feel like a fairly daunting task. There are thousands of different contractors out there all claiming to be the best, and it is very easy to get lost in all of the noise. Here at Mobley Heating & Air, we like to let the results of our work speak for themselves. Our knowledge of the industry, our prompt and professional customer service, and our enduring commitment to ensuring you are 100% satisfied with the results of your work are just a part of what sets us apart from all of the rest here in the Conyers area, so if you find yourself in need of help with your home's air conditioning or heating system, look no further. When it comes to your heating and cooling needs, you should never have to settle for service that is anything less than the absolute best, and when you make the call to our air conditioning company, you never will. 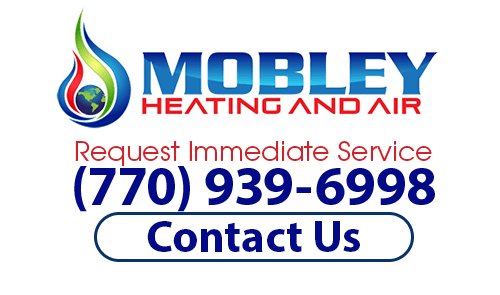 Here at Mobley Heating & Air, each and every one of our local air conditioning and heating experts are fully licensed, trained, and highly experienced. We understand the vital role that your air conditioning and heating systems place in your Conyers home, and we work hard to provide you with the prompt and professional service you need to get everything back in order and functioning like it should be. If you have any questions about our full line of high quality air conditioning and heating services, or if you would like to schedule an appointment for consultation with one of our specialists, give us a call today. Our team of experts are always standing by and would be more than happy to assist you in any way we can. When the weather outside starts to heat up in the spring and summer, you want to be absolutely certain that when you flip that switch on your thermostat from neutral to cool, your system comes on like it should and starts pumping cool air throughout your home. Unfortunately, there are many homeowners out there who flip that switch only to find that something isn't working like it should be. Your air conditioning system is a complex piece of machinery, and anytime it starts to experience issues, it can be difficult to determine exactly what the issue might be. Here at Mobley Heating & Air, our team of experienced professionals can help you get to the bottom of the issue quickly and have your system up and running again like new in no time at all. Our team of local air conditioning experts can help you with everything from minor air conditioning repairs and routine maintenance, to emergency repairs and even total system replacement. Give us a call today and let us help you resolve any and all of your air conditioning service needs. If you are looking for an experienced Air Conditioning & Heating professional in Conyers, then please call (770) 939-6998 or complete our online request form.